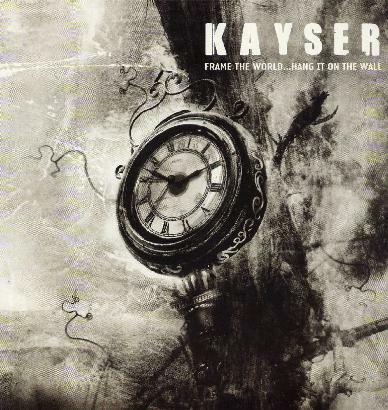 Kayser - "Frame the World... Hang it on the Wall"
Kayser are back with their second full length record. This band, if you don't know, features the ex-singer from the Spiritual Beggars and Mushroom River Band. This stuff is most of the time much heavier and metallic than either of those bands but there are quite a few songs that are quite close to the classic heavy Spiritual Beggars sound. The opening track is full on Slayer, and this is the bands clear influence on their fast tracks. Some of the heavier more melodic tracks might remind one of Megadeth. This record is much better than the EP they released earlier this year. I think heavy metal fans who like Spice's voice and the old Spiritual Beggars stuff will dig this release. It features some excellent songs. For more information you can visit the Scalet Records web site at: http://www.scarletrecords.it.